I know this. I admit this. And yes, I know—the only perfect One is Jesus. However. I take this quality and try my very best to apply it to one area of my life: Academics. And there I sat, at the end of February 2016, reflecting on a week of returned grades. A few weeks before this, I was fortunate enough to experience an amazing conference called Jubilee. To give you a visual: three thousand-plus people all coming together, all loving Jesus, and all learning how Jesus impacts every aspect of our lives. Hands down one of the best weekends of my life. However, the big issue with this weekend was timing. Or so I thought. The closer Jubilee weekend got, the more stress I felt, and the more I was questioning God’s timing. Well, according to my planner, I had two big midterms and an exam in my hardest class the week after Jubilee. Not to mention my weekly quiz and weekly assignments on top of those big exams. As much as I love PT school and as grateful as I am to be receiving my education, I couldn’t help but feel worried, stressed, and fearful. The enemy was creeping into my thoughts. I began to think that God was overbooking my schedule, that He was setting me up for academic failure, and that He was giving me much more than I could handle. My mind was no longer focused on the goodness of the Father, but rather the negative strikes of the enemy. My heart was no longer open and surrendered to God, but rather closed off and locked in a state of worry and stress. But just as quickly as the enemy flooded my thoughts, I took a few deep breaths and reminded myself of God’s goodness and faithfulness. I stopped dwelling on the little time I had for studying, and instead reminded myself to take advantage of the time I did have (because in reality I had a solid three days before I even left for Jubilee). I reminded myself how weak and faulty the enemy is, and how solid and unfailing the Rock is. Not only did I continuously remind myself of these truths, but I prayed constantly in that week leading up to Jubilee. I prayed for focused and productive studying with the time that I had. I prayed for God to prepare and open my rigid heart. I prayed for peace. I prayed that God would defeat the fears I so often believed. I prayed for surrender and trust to the One who holds my heart. And I did not do one single ounce of homework while at Jubilee. Not one. For me to not do homework was unheard of up to this point. Was it weird for me to stop doing homework for 72 hours? Absolutely. Was it out of my comfort zone? Absolutely. Did fear still creep in and try to overcome my peace and joy? Absolutely. But as I clung to the truths of our loving God, do you know what this pause on homework ultimately taught me? That I need to take a Sabbath. I don’t know why I never realized it before, but I never give myself time to rest. It’s no wonder I always let the stress of this world get the best of me. And because I was able to detach from my schoolwork for three days, I was able to fully open my heart to God. I let go of the distractions and stress that I allow school to cause me, and I embraced the changing of my heart by the one gracious God. You can get all A’s in your classes, but you can still fail life. And how true is that?! I might be able do well in classes, but if I’m not constantly, continually, and fervently seeking the Lord, what good are my A’s? Hard work is one thing, but perfectionism can get in the way. And I’m learning to let go. Not only did I pass every exam, but I did way better than I anticipated on a few of them. And that just proves the goodness of our awesome God. It is by grace, through faith that we have been saved, and by that faith we learn trust, no matter what He decides to do with timing. Because ultimately, the timing isn’t based on our own human agenda, but rather on the timing and agenda of a gracious, loving, and perfect King. —Amanda Swisher is from Lambertville, Michigan. 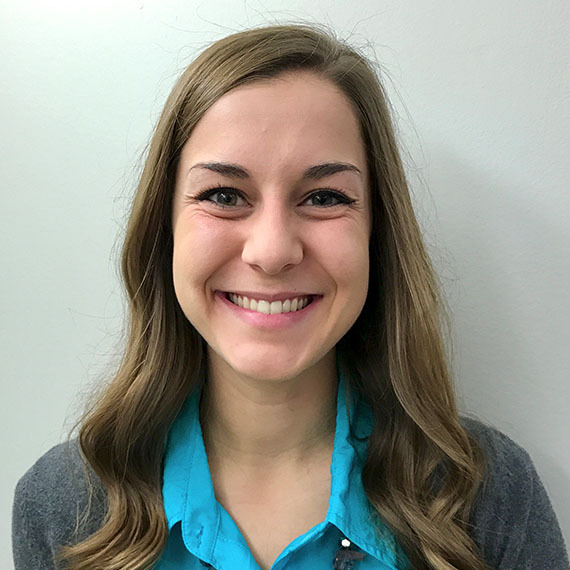 She attended the University of Findlay in Findlay, Ohio, where she is now in her second year of graduate school, pursuing a Doctorate of Physical Therapy.